Indicate your committee and board volunteer preferences using our "Finding Your Niche at Eliot" SurveyMonkey tool, please click here. The Eliot Board appreciates all of your volunteer efforts. We couldn't do it without you! 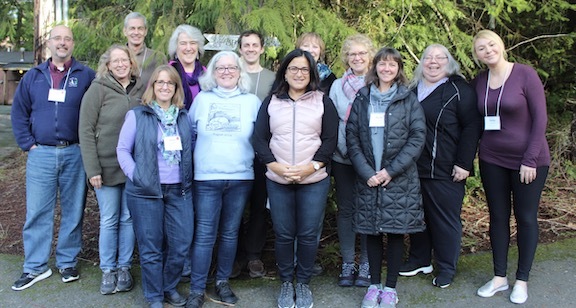 Board and Staff members (L to R): Alex Koerger, Bev Hesterberg, Ken Kersten, Karen Valbuena, Elisa Wells, Lauren Mac Neill, Ian Schurr, Rachelle Lee, Samaya Oakley, Joan Sandberg, Renee Palermo, Elizabeth Weber, Sacha Wassick.